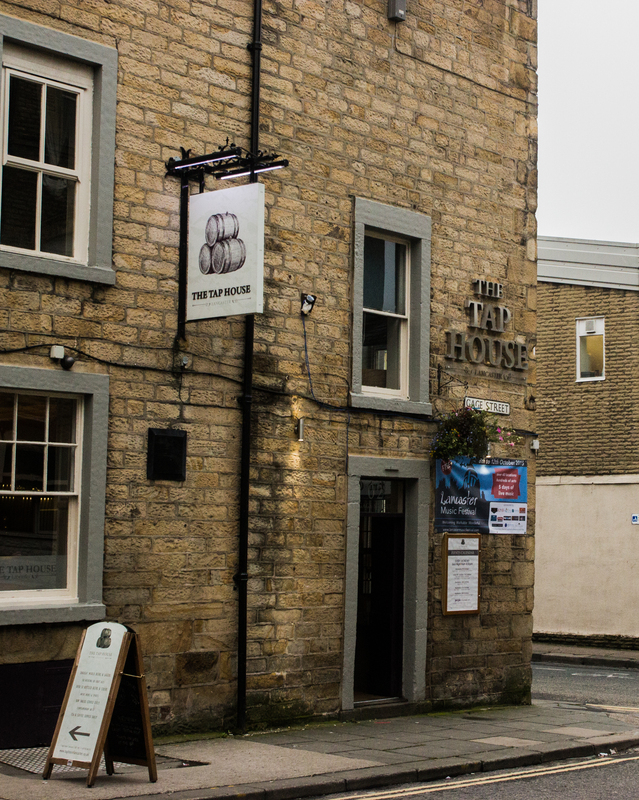 Chris Bickley and guests take us through the pubs of Lancaster, this time with a route poorly dubbed 'The Glow Room Pres', involving John O'Gaunt, Fibbers, Tap House and of course, Dalton Rooms. Interior to The Tap House. All photographs taken by Chris Bickley. To make up for its slightly watered-down nightlife, Lancaster has outdone itself in terms of pubs. 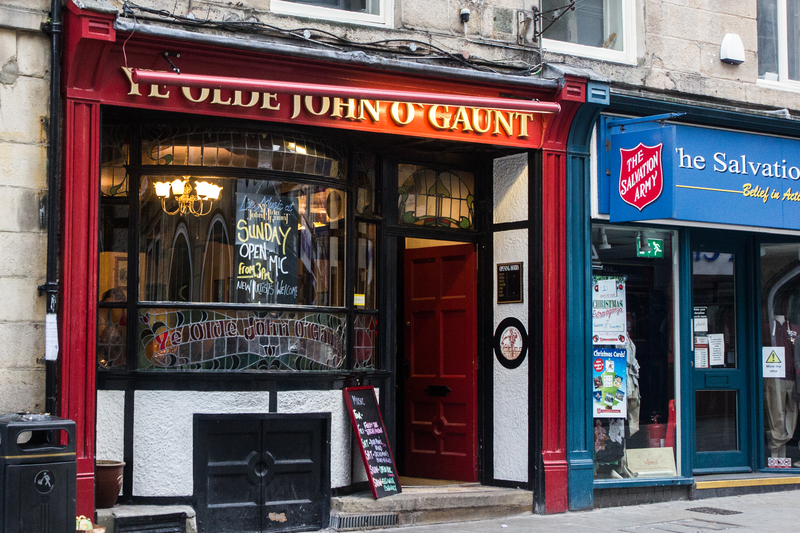 Great ales are plentiful in and around the city centre, not to mention on campus. So I’ve undertaken it as my job as SCAN’s Alcohol Editor to give you a lowdown on the best drinking spots for an alternative to Mr. Brightside on Friday nights. ‘Alcohol Editor’ as a title sounds a bit like I spike drinks for a living, so I may adjust that to simply SCAN’s Head of Beer. It’s a poor name, but better than a beer of head, so there’s a start. To start off the route that I have weakly dubbed The Glow Room Pres, Ye Olde John O’ Gaunt was our first destination. Granted, it has no association with Dalton Rooms, but we went on a Monday and it formed a vague line across the city centre. Situated in the heart of the city, one could expect this pub to have been busier than it actually was. The small and narrow establishment certainly wasn’t thriving, and is incredibly reminiscent of a generic backstreet boozer. That said, the John O’ Gaunt is not a bad pub by any stretch of the imagination. But it doesn’t do anything to set itself aside from any other pub. There were a fine, but by no means large or mind-blowing selection of ales, including the staple Lancaster Blonde, and a festive (is Halloween festive?) edition of Hobgoblin. Although nice, it was slightly pricey for what is effectively a rather beige atmosphere and environment. Not even Creedence Clearwater Revival blaring out from the jukebox could save what is an incredibly average pub. Another pub located in the heart of Lancaster, Fibbers is a slight oddity when compared to other drinking holes. There’s nothing particularly Irish about the pub aside from the name, and that they probably serve Guinness. With more screens than the x-ray department of Lancaster Infirmary, Fibbers the ideal pub to watch sports. But on a Monday night, all that means is watching drab Championship action in an empty bar. The number of television screens is probably close to 10, which is perfect for Saturday sports action with multiple matches on at once. This includes two drop-down screens, numerous smaller televisions on the walls, and also a couple of mini screens attached to the beer pumps. It’s quite unfathomable. The beers are pretty standard as pubs go, as it appears that ales are no longer on the menu, which is slightly disappointing. 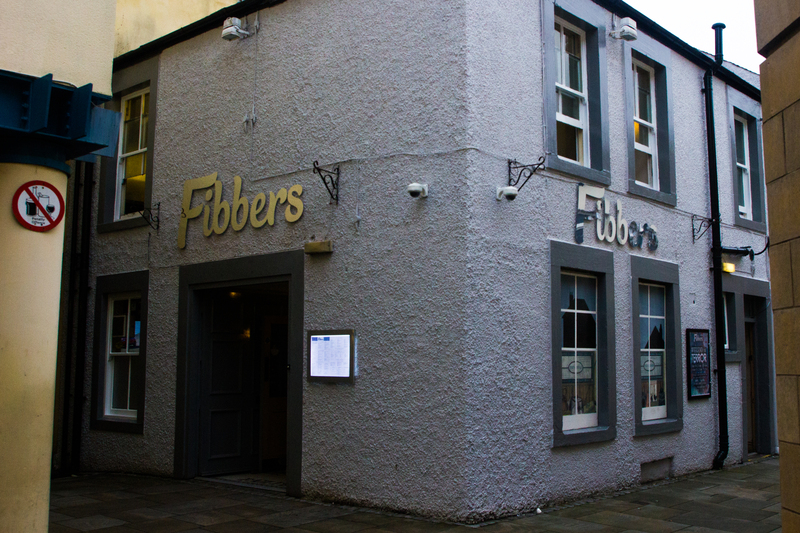 Nonetheless, Fibbers is a perfectly good alternative to Fylde Bar for watching sports, and the atmosphere for the last day of the 6 Nations back in March was electric. This could be the first 10/10 pub of Let’s Go Pubbin’. 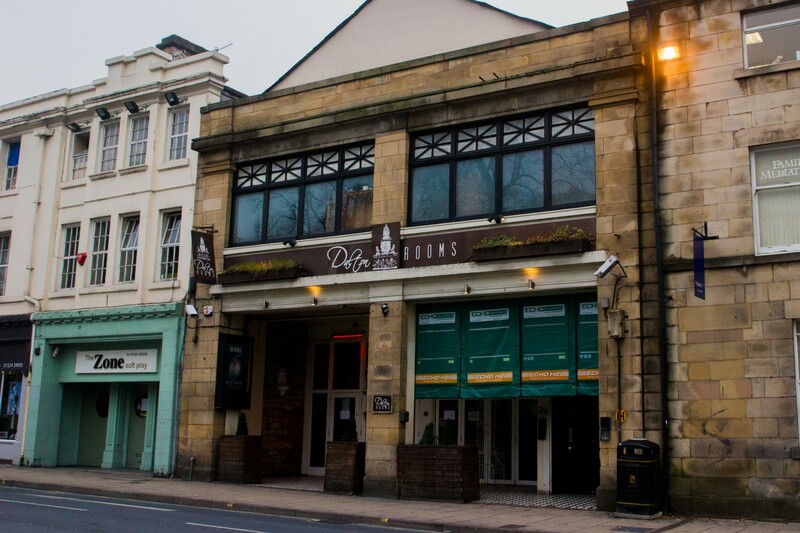 Located in close proximity to Dalton Rooms, this would probably the best place for a few pre-drinks before Monday night shenanigans, were it not so different in nature to Dalton’s. It’s in a unusual place to an extent, being on the corner of Mary Street and Gage Street and at the back end of Wilko. This means it perhaps loses out on trade from those who are unaware of its presence. My friend, for example, felt incredibly nervous as I took him down a dark and deserted road at night to find this hidden gem. The interior is beautiful and, although small, it’s just as easily described as cosy. The atmosphere is slightly romantic and rather old-fashioned, but still incredibly fresh when compared to an average pub like the John O’Gaunt. 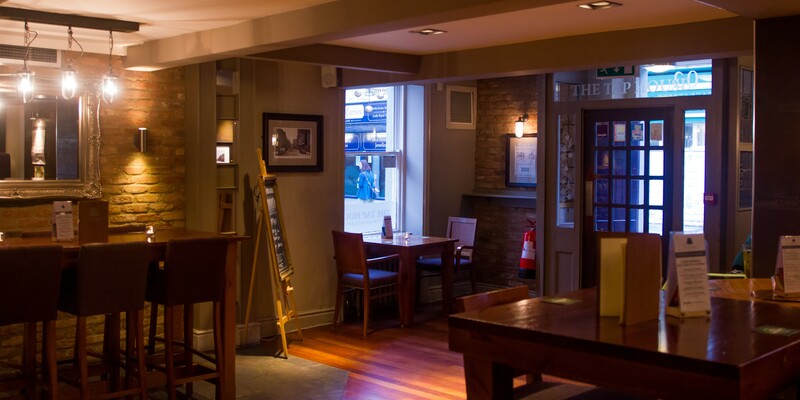 Like many Lancastrian pubs, The Tap House has a fine selection of ales and lagers including the smooth Lakeland Blonde by Hawkshead. Although drinks are slightly more expensive than the campus bars, it’s worth it for the environment they’re drunk in. A great pub, worthy of a visit. Do you need me to describe Dalton/Glow Rooms? Best experienced on a Monday night with karaoke and 3 for 1 drinks offers, Dalton Rooms pretty much guarantees a great night out. Downstairs is known as Glow Rooms, which only opens as the bar gets busier. It’s slightly classier than Sugar and Hustle, so it’s a shame that Dalton Rooms is underrated in my eyes. One point I have noticed though is that they sell the strong yet gorgeous Belgian beer Leffe. Or at least they did at one stage in their existence, as whenever I’ve been there, it’s always been out of order. It’s back now, much to myself and the barman’s surprise the other night.